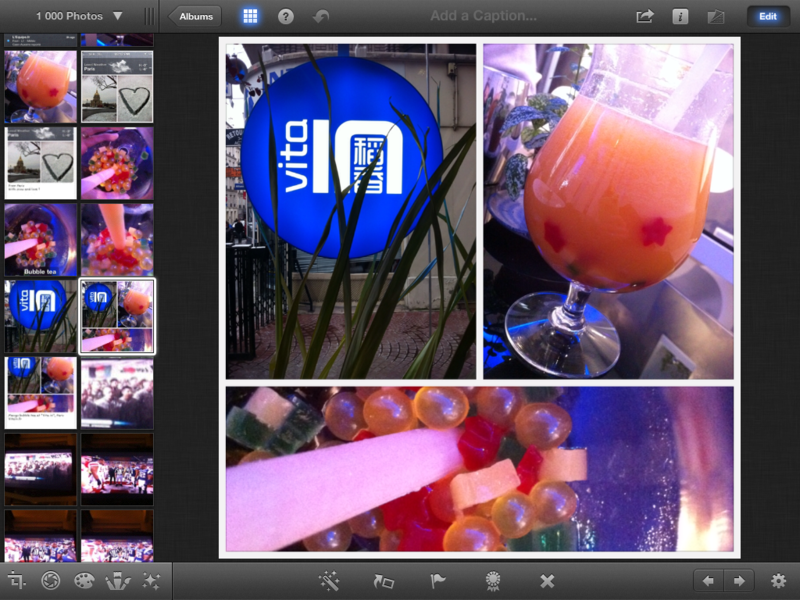 iPhoto is the missing link between your iPhone/iPad and your pictures. 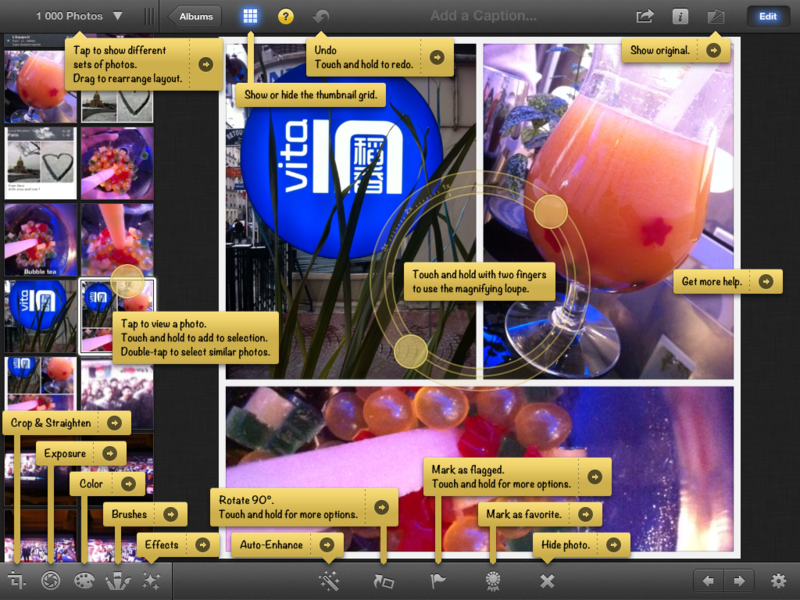 With this app come lots of functions to correct your pictures (exposure, color, blur/sharpen, …) but also to present and share your pictures with friends and family (like you used to do with the RIP-MobileMe Gallery). Let’s browse through the fonctionnalities and then create a Journal. 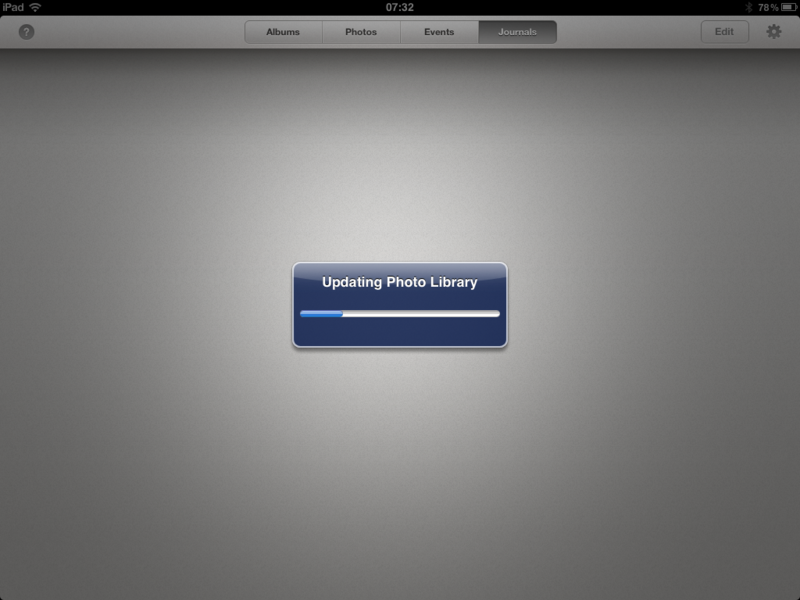 When you launch the app, you have to wait for your photo library to be updated which is a little bit long … and boring. I use a lot the Lightnen brush as when I use my iPhone sometimes the pictures are a little bit too dark. Also, I like to blur (Soften brush) people faces I don’t know in my pictures. But Red Eye, Saturate/Desaturate, Sharpen and Darken brushes are always handy. I use a lot the sharing option to create a Journal, because it’s really handy to showcase an event (pick the picts you want to showcase) and also because you can share it online. Then confirm if you want the iDevice to add the selection automaticaly to a new page or to an existing one, then Add to Journal. 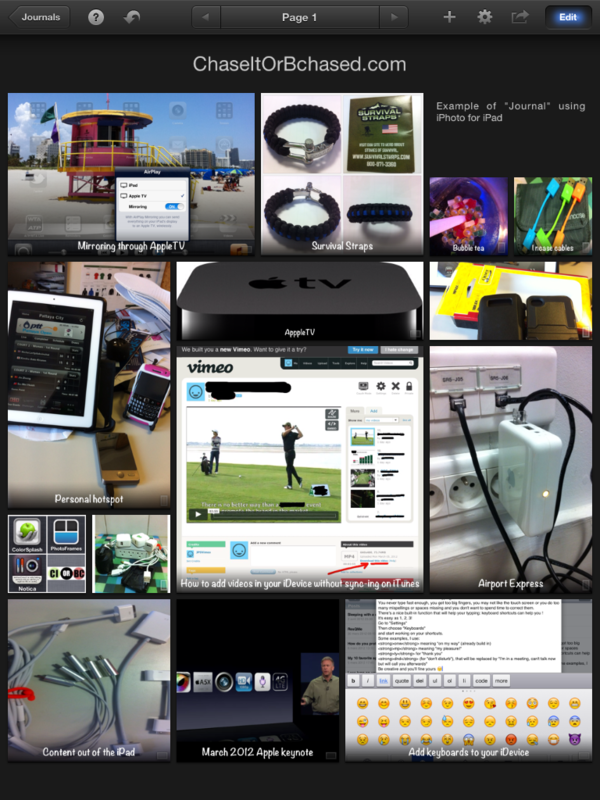 iPhoto is a cool app if you look for an all-in-one app, it will do the trick. Effects and results are really cool. 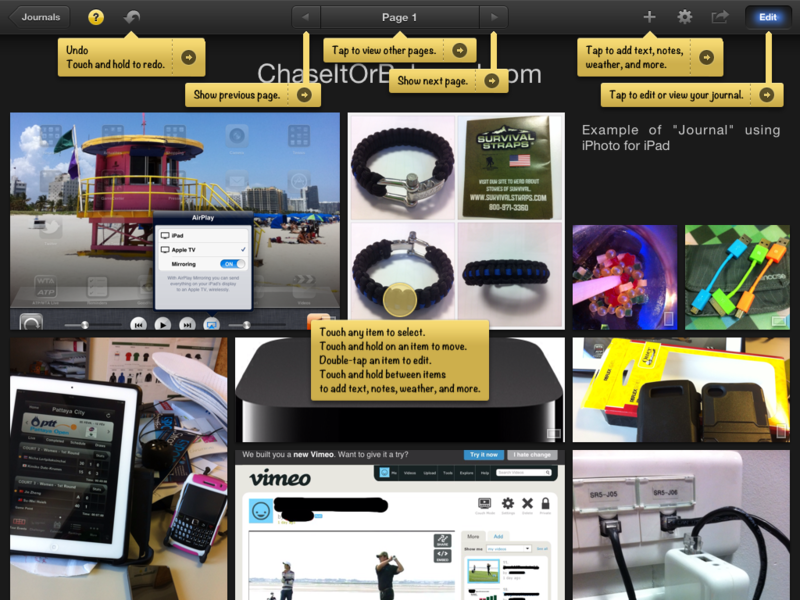 Thanks to the iCloud, you will buy it once for your iPhone and it will be available on your iPad without any more cost. To bad that when you start a journal on your iPhone, you can’t continue to work on it on your iPad: you can only browse it. Too bad, that’s the purpose of the iCloud. Maybe an upgrade will correct this issue. The more you’ll play with it, the more you’ll like this app!